Just outside the White House, a group calling itself the Witnesses Against Torture held a demonstration on January 11th. The demonstrators wore orange jump suits and sand goggles. The demonstrators were dressed to look like the inmates in Guantanamo Bay. Their demonstration commemorated the tenth anniversary of the first Al Qaeda and Taliban inmates who were brought to the prison facility that had been built for them. Ten years after the Guantanamo Bay prison opened, the facility remains open. Despite then presidential candidate Barack Obama’s promise to close down this infamous facility, it has never happened. The prison, although with far fewer inmates than a mere five years ago, remains open and is still being used by the U.S. Department of Defense. There are three reasons why those inmates are there are still there. First, no country in the world wants them. Second, many congressional officials pressured the White House not to have any of these “high security risk” prisoners transferred to the mainland United States. Finally, Obama himself did not keep his promise of transferring these prisoners still in Guantanamo Bay to the prison facility in Thomson, Illinois. The Thomson Correctional Center, built in 2001, is a high maximum prison that was supposed to take the pressure off of over-crowded prisons in northern Illinois. But the prison was never opened by the state, and almost all of it remains closed to this day (except for some minimum security prisoners in one part of the prison complex). The federal government offered to buy the facility to transfer all remaining prisoners from Guantanamo Bay to Thomson, but local and congressional Republicans resisted this. Instead of going over the objections of the Republicans, Obama caved in and has left the Thomson facility closed for now. It is hard to figure out, other than pure politics, why Obama did not keep his word to close the Gunatanamo Bay prison and send all of the remaining inmates to Thomson or elsewhere. It has been proven that other Al Qaeda and Taliban inmates who had been in Guantanamo Bay but were transferred to prisons on the U.S. mainland never escaped and certainly never posed a threat to the general public. These concerns should have been laid to rest by Obama. Instead, he has kept Guantanamo Bay open and is trying the remaining inmates in military courts. Neither acts by the U.S. government serve it. 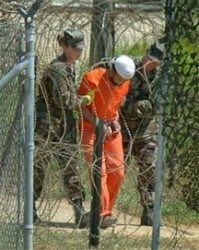 Guantanamo Bay has a sordid reputation for mistreatment, and yes even torture of inmates. Just as equally bad is the fact that these inmates were denied lawyer representation in court. Because of what happened at Guantanamo Bay, the whole world was shocked that such things could happen in a civilized country like the United States. Guantanamo Bay has become synonymous for everything that is wrong with America, and this is why then candidate Obama promised to shut this place down. Yet despite all of the promises made, Guantanamo Bay still runs, and the Thomson prison—which could have provided hundreds of jobs and good business for the local community and for Illinois if opened—remains shuttered. So much for Barack Obama the president. This does not bode well for his track record for a second term in office.